New edition of our book is here! 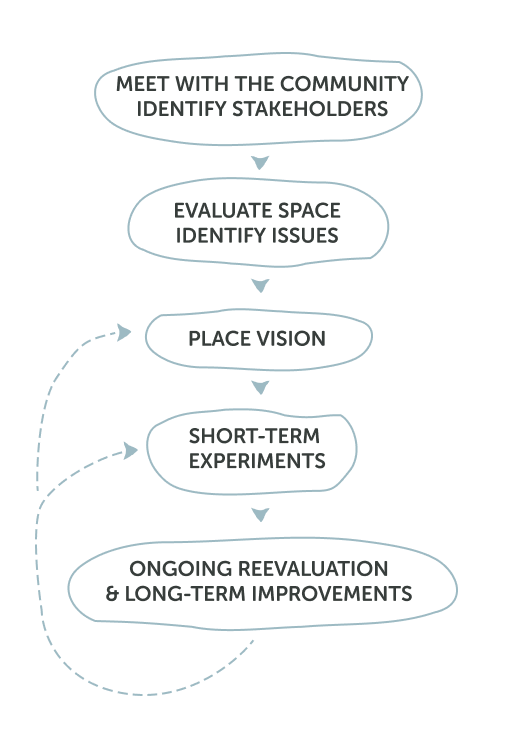 Project for Public Spaces (PPS) is a nonprofit planning, design, and educational organization dedicated to helping people create and sustain public spaces that build stronger communities. The Heart of the Community Grants Program is a signature outreach program of Southwest Airlines with a mission to build connections that bring people together and strengthen communities for a more resilient future. After decades of decline, a well-programmed park kicked off a chain reaction that helped downtown Detroit reinvent itself. 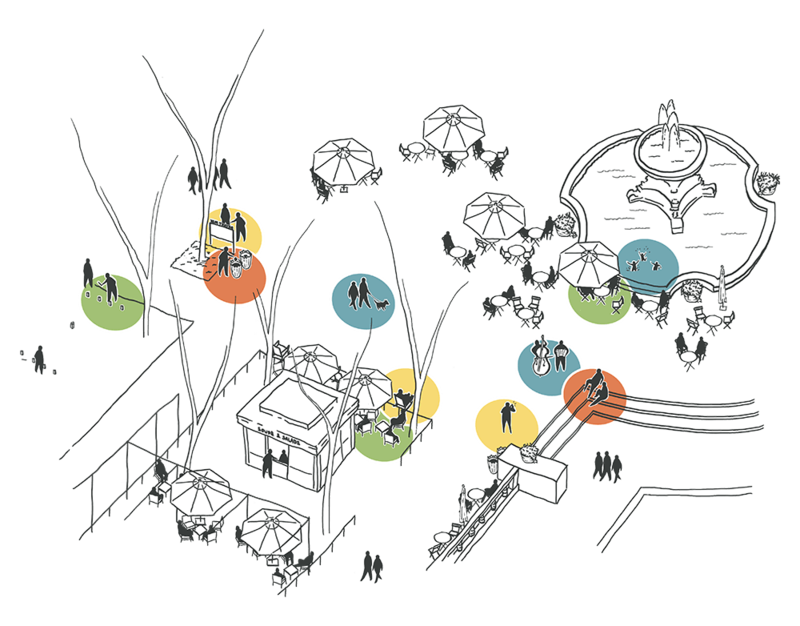 A collaboration between the Brookings Institution and Project for Public Spaces, the Bass Initiative aims to catalyze a new approach to city building that integrates the reinforcing benefits of vibrant public spaces, innovative urban economies, and inclusive growth. Observation, management, and careful physical interventions flipped the public perception of Bryant Park from dangerous space to gathering place. A program for rural communities to convert their good ideas into reality. 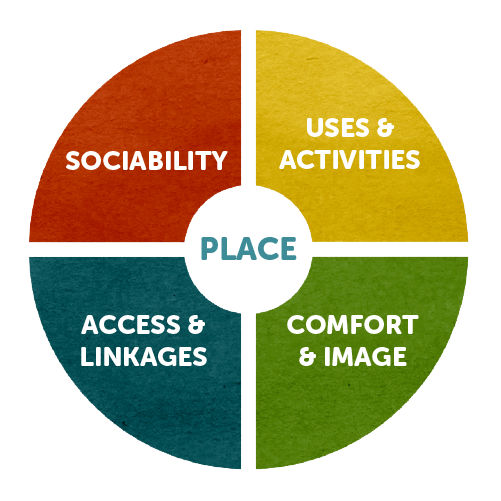 What happens when a market refocuses on place? Three times the foot traffic, twice the vendors, three times the sales, and a stronger partnership with the community. Following a campaign to activate downtown parking lots, Fort Worth made itself a new public “living room”—and a catalyst for district-wide revitalization. By turning itself inside out, this cultural center created new opportunities for audience outreach, institutional collaboration, and community-driven culture.